Glucometers are small handheld devices resembling a pocket calculator. They are very easy to use and provide accurate and reliable blood glucose readings in a few seconds. This monitoring system includes a blood glucose meter, test-strips, penlet (adjustable blood sample) and lancet needles. The meter is operated by rechargeable alkaline batteries. It reads the blood glucose and displays the result as numbers on a tiny screen. The test strip has a special test area on one end and on this test area, there are enzymes (biochemical agents) that are similar to the ones, which are used in a laboratory to test blood glucose. The penlet pricks the finger to get one little drop of the blood sample. Some meters can also automatically store the results in the memory. Who should monitor blood glucose at home? Ideally, all patients should monitor their own blood glucose. It is however a must for all Type 1 insulin department diabetic patients and pregnant diabetics. Patients on insulin especially those on multiple dose regimes. 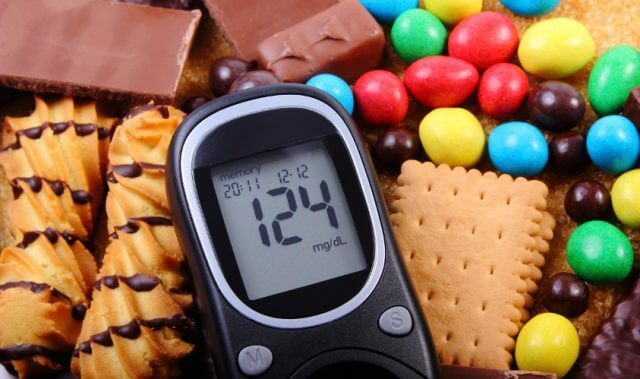 Patients with the wide fluctuation of blood sugar levels. Blood glucose has to be tested at various times of the day, to have a better picture of one’s diabetes control. The best time to test are before breakfast and 1 ½ hrs to 2 hrs after breakfast or lunch. Occasionally one should test at 2-3 am also to make sure that night blood sugar levels are within the normal limits. In addition, if there are any unusual symptoms to suggest possible low sugar, blood sugar can be tested immediately. It allows blood glucose levels to be easily and conveniently estimated at any time of the day or night and this enables the patient and doctor to get a clear idea about fluctuations in blood sugar. It allows the patient increased flexibility, in his life style. With basic education about adjusting dosages, the patient himself can make minor changes in treatment to obtain and maintain optimal diabetes control. Helps to detect and prevent night time hypoglycaemic reactions by testing blood glucose before bedtime. This is especially important if you have exercised more than usual that day. Prices vary according to the model and brand. Check out some of the leading glucometers and make your wise purchase right away! ← Smoking & Infertility Issues: What’s The Co-relation?